Mobile DR, CR and Cassette Holder - Radiation Products Design, Inc.
RPDinc’s design allows the DR, CR and Cassette Holder to extend 6" (15.24 cm) further over the couch than other units on the market. An option is available for a custom post height for extended range couches. The Mobile DR, CR and Cassette Holder has been engineered around the needs of the radiation therapist with unmatched ease of motion obtained through the use of precision components. Needle roller bearings enable smooth travel both vertically and horizontally eliminating the frustrating binding action found on other cassette holders when repositioning. The DR, CR and Cassette Holder glides freely even while a heavy cassette is loaded. A counter-weight offsets the weight of the cassette, allowing for almost effortless motion. 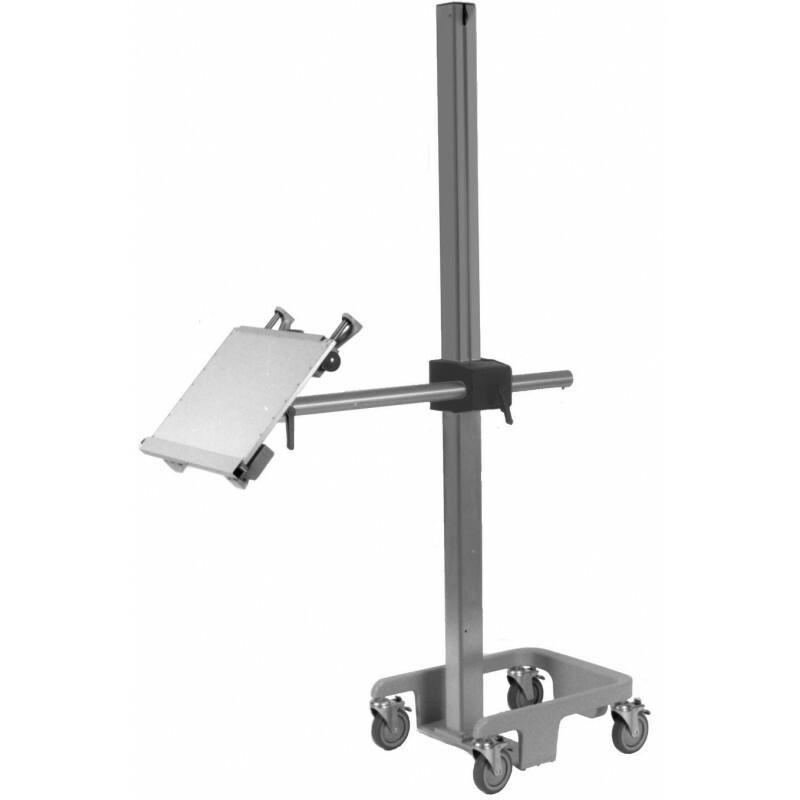 The DR, CR and Cassette Holder is able to position close to tables and objects due to the unique base counter-weight system and the offset square post (Figure A). These 2 features prevent rotation and the possibility of the unit tipping over. The DR, CR and Cassette Holder can tilt 180° (Figure B), rotate 360° (Figure C) and is spring loaded to provide tension on the cassette to ensure that it is secured. 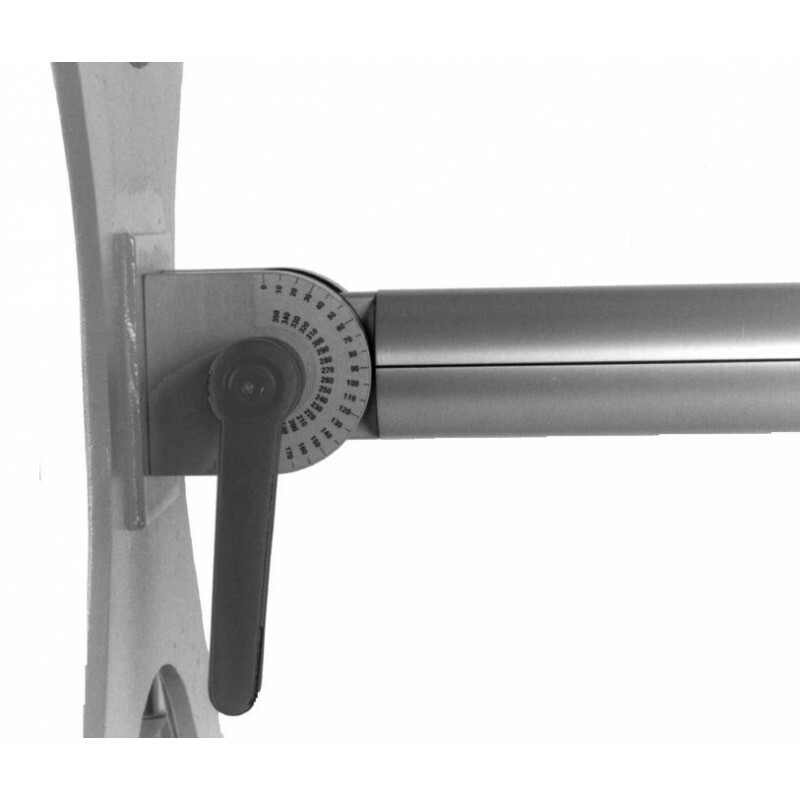 A spring loaded latching system (Figure D) enables up to a 14" x 17" (35.5 x 43 cm) cassette to be inserted from either side and once latched, secures the cassette from sliding out during rotation. 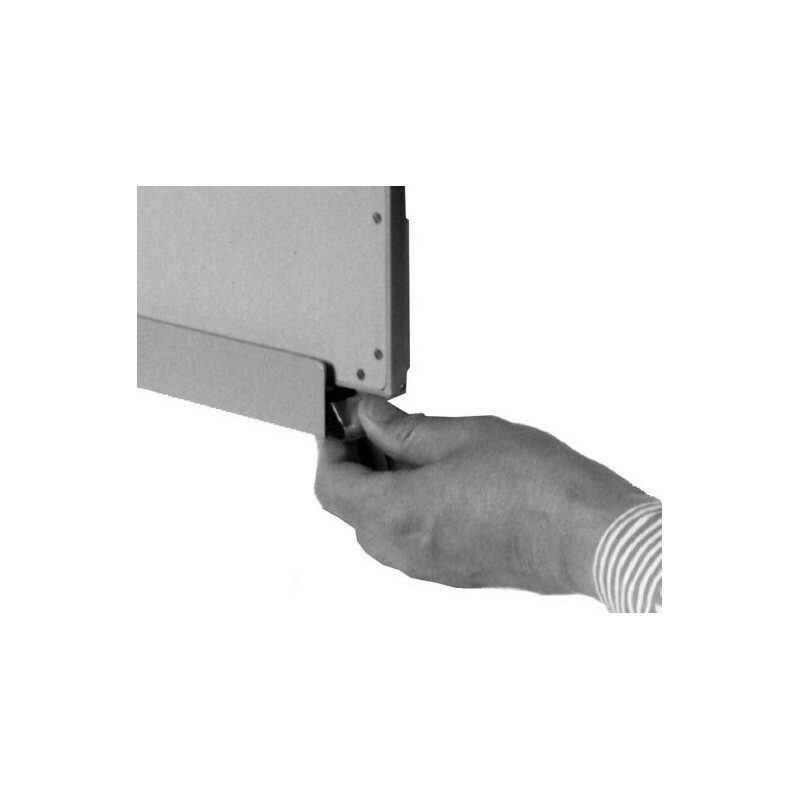 The cassette carrier will also accept 14" x 36" and 17" x 28" (35.5 x 91.5 cm and 43 x 71 cm) cassettes by bypassing the latching mechanism. Easy to read angle indicators (Figures C & E) allow for accurate angulations of the cassette carrier. Indicator scales coincide with the degree rotation of the treatment machine gantry, eliminating the need for calculating the correct cassette carrier angle. Simply rotate the cassette carrier so the degree indicator reading is the same as the machine gantry reading, and the correct corresponding angle is automatically established. 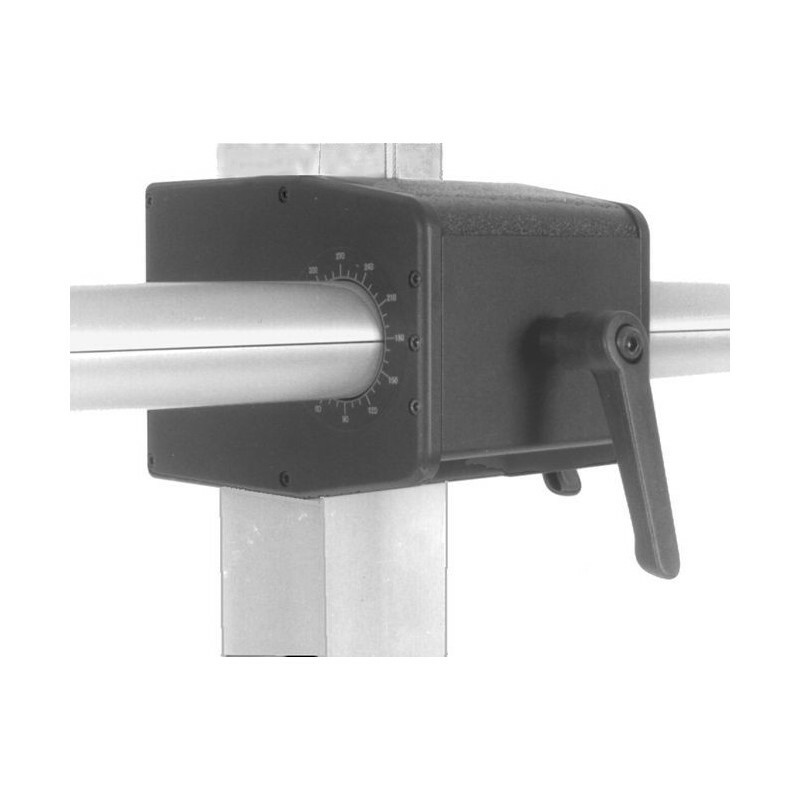 Motion locking systems are equipped with large comfortable ratchet type handles which enable the operator to easily secure positions with minimal effort. Easy mobility is accomplished with four high quality ball bearing wheels. The wheels have a toe tap positive locking mechanism which doesn’t allow swivel or movement of the wheel, providing excellent safety and stability. The Mobile Cassette Holder will hold any DR or CR plate that has the same dimensions as an analog film cassette.